Editorial: migrants on Estonia-Russia border? 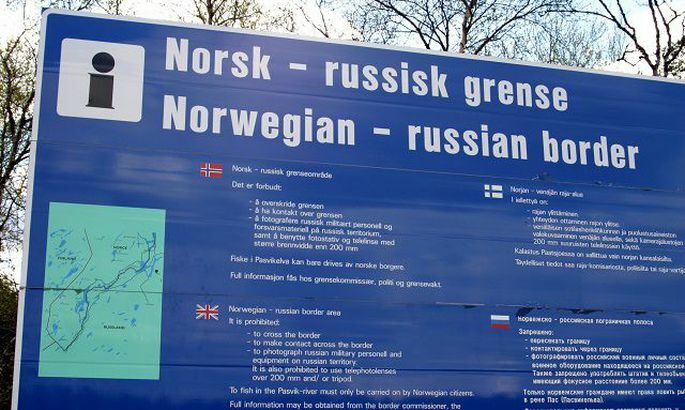 May Russia direct to Estonian border the asylum seekers flow halted at Norwegian and Finnish borders by high level agreements? The honest answer is yes. True, the option is still hypothetical. The other issue being: how, in that case, would Estonian institutions and society react? Both with Norway and Finland, we know the inflow en masse begun rather suddenly while FSB behaviour played an important role. Meanwhile, there are other ways Russia has applied pressure, or has chosen not to apply, to divide and conquer. They will not tackle all neighbours at the same time. Rather, as some are left alone, the same tricks will be tried on others. Meanwhile, our officials pacify us with analysis about Estonia not being a land most attractive for migrants. But this is but a half of the equation. Let’s not forget that in an authoritarian state the will of the people plays a role less vital. Till today, Russia has been able to control its borders well and the pressure on Finnish border ceases as soon and FSB got its orders. As at places unexpected movement occurs, reason dictates there’s state (in)activity at play with hidden goals behind it. What has been the goal of Russia’s behaviour? Last year, as inflow of migrants to Finland via Sweden ratcheted up, in Russia the media coverage was broadly to the tune of «Finnish society is not taking the pressure». Granted, they were airing anti-refugee protests and allowed plenty of coverage for Soldiers of Odin. As movements later begun on Russia-Finland border, this may well have been to test Finnish administrative capacity as well as reaction of the society. Which may be interpreted as an attempt to disturb peace in a neighbouring nation. Add to this the fearful atmosphere in Estonia and organisations potentially to react, the mix would be bad indeed. Thus, the issue is not border behaviour alone but how to keep cool.